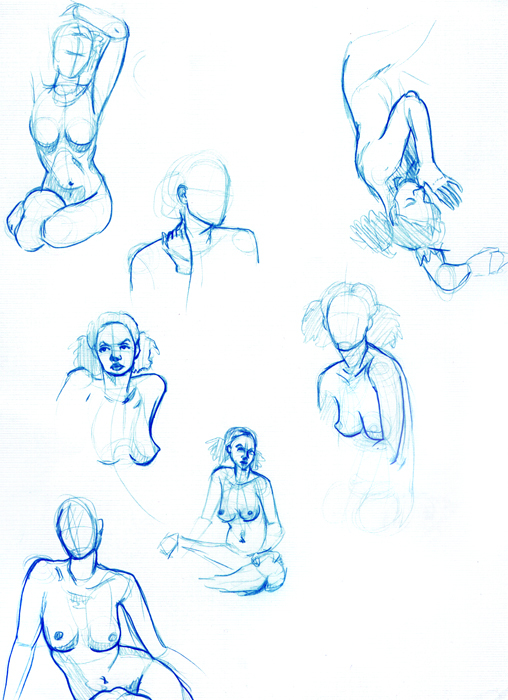 So, I haven’t been to a life drawing session in, oh so many, years and decided to start it up again. I realized how rusty I was getting when proportions were harder to measure and sketches were taking a lot longer to complete than back in the day. Anywho, below I got some couple minute posses and the bottom is about 15 mins. On a side note, actually the bottom dude’s pose was a lot longer, but I got tired of looking at him because he looked EXACTLY like a friend of mine… only.. you know… naked… *gross*. I love that 15 minute sketch with the dark outline. Also, good to hear you made a blog and super good that you’re working on more personal stuff. Can’t wait to see what the future will bring. Keep up the good work!